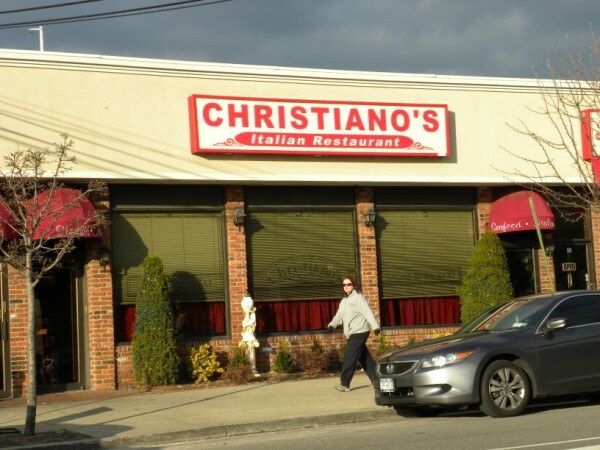 The famous 'Italian Restaurant', 19 Ira Road, Syosset, Long Island, New York, 11791 (Billy Joel/Christiano trivia) FACT: Billy Joel patronized this restaurant, takeout/sitdown, from the late 1960's to 1971 (fled to L.A. for five years during contract dispute), then from 1976 to the early 1980's! FACT: An autographed 8x10 framed photo of a young Billy Joel hung on the wall of this restaurant, behind the bar, from the mid 1970's to about 2003 when it was apparently stolen off the wall! FACT: This is the restaurant that inspired the 1977 song 'Scenes from an Italian restaurant'! Fact: Billy Joel wined and dined Christie Brinkley at this restaurant in the early 1980's!